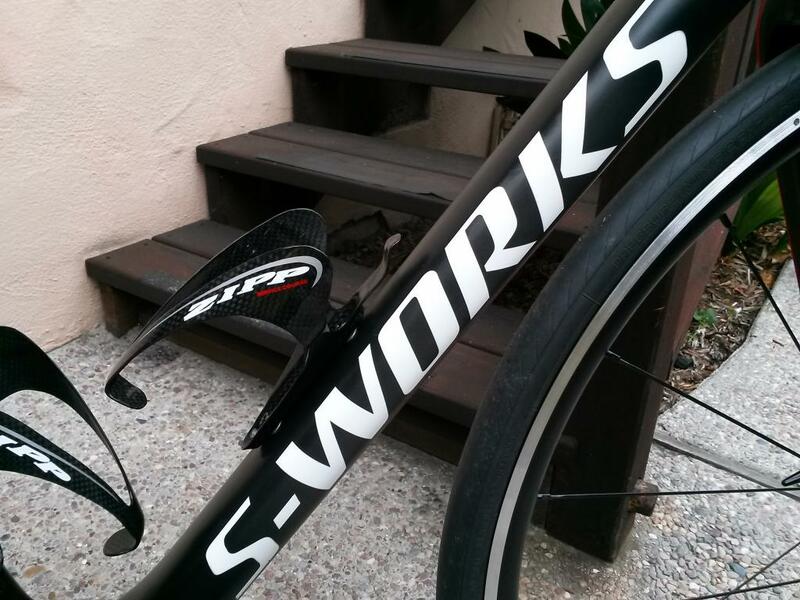 The Yokozuna Shifter Cable Set will get your bike's gears snapping into place like new. Possibly better than new. Following on from our recent review of the Yokozuna Reaction Brake cable set, now it's the turn of your shifting to feel some slickly actuated love. I've long been a fan of regularly replacing standard shift cable – Shimano SP41 outer and standard inner cables, every 1000km, regardless of how it's running. It's surprising what you get used to over time in terms of less-than-optimal performance, but for the price of a few coffees and cake your bike can feel like new again. It's well worth it. The obvious competition to the Yokozuna cables is Shimano's Ultegra 6800 Road Gear Cable Set at £29.99. Shimano achieves smooth shifting by putting a polymer coating on the outside of the inner wire. Any mechanic will tell you this wears off pretty quickly, leaving you with furry cables and a good deal of material clogging the cable outers – hardly a long-term solution and effectively negating the time-honoured practice of popping your cable outers from the frame stays, shifting the outers further up the wire and giving everything a good wipe followed by a light coating of WD-40 or similar. I've not seen any quantifiable analysis of the increased friction induced by the polymer coating falling off coated cables, but regardless, Yokozuna avoids this by going for die-drawn stainless inner cables sliding inside a PTFE-lined outer, helped along by its end-to-end 'jet lube' grease throughout the outer cable. One anomaly to the Yokozuna package is that if you're buying just the shifter cables they come as two 60mm and three 340mm sections of housing – in other words the traditional setup using cable stops, and not at all internal cable route-friendly. Common on mountain bikes for years, increasingly road bike designs are running solid cable outers all the way from shifter to rear mech, requiring a good few metres of uninterrupted cable outer. The Yokozuna Reaction Cable System pack includes both the compressionless brake outer previously reviewed, plus the gear outer in a single 3000mm run – and the combined price is a few quid less than buying separately, so if you are upgrading brakes and gears, this is the package to go for. The process of fitting the Yokozuna gear cables is just like any other. As ever, it's advisable to use quality cable cutters or a Dremel tool, finish the ends squarely using a file, grinder or similar. Make sure the inner edge and PTFE liner are open and free from burrs before firmly seating the ferrules in place. The inner cable comes double-ended, with a squared end for Shimano /SRAM shifters and a rounded-tip one marked with a C for Campagnolo. After checking twice, snip off the one you don't need. Once set up, the shifting is as good as a new set of Ultegra polymer-coated cables, at about the same price. Used on a decent set of Ultegra levers, with a properly-aligned rear mech hanger, shifting up and down is damn near telepathic. The ever-so-finicky front mech trim function does what it should, even with the tiniest of movements that the first partial click down or up affords. Yes, 25 quid is a fair amount to spend on some gear cables (plus £5 p&p), but think about it: how often do you change gears during a ride? A hundred times? Two hundred? How many rides before you need a refresh? The set on test here are now four months old and they feel as nice as they did on day one. With die-drawn stainless inner cables, the only room for friction to creep in is through contamination of the grease with particles of dirt. As the outer is filled end-to-end with grease and the cable movement is so small, I imagine that's going to take a long time to happen. Unlike the Shimano inners which have built-in obsolescence in the form of the sacrificial polymer coating, the Yokozuna Shifter Cable Set is built to last as long as you could expect a premium consumable to. If you ride twice a week, just pop 50p into a jar on the bike shed bench each time. By the time the cables come round to needing replacing you'll be well over the £30-odd needed. The Yokozuna Shifter cable Set is for someone looking to make their bike feel like new, for a fraction the price of a new bike. Yokozuna says: "Our Jet Lube Process injects the proper amount of grease end to end... not just at the tips like the competition's pre-lubed housing. This results in about 10% less cable drag. Refresh your ride with this kit which includes housing and cables and ferrules. Available in black or SlickTech Gray (XTR-color) for shifter(Shimano), road brake and MTB brake. Note: We carry 2 different diameters of shifter housing. Measure your bike's current housing before ordering. "Housing is lead and dioxin free unlike some Taiwan-made housing out there. Cables are premium stainless steel die drawn for smoothness." No reason to believe they won't last a long time. No degradation sensed in 4+ months of riding. For a premium cable set, the Yokozunas are great value. Very well indeed. Shifting better than the Jagwire SL system they replaced. Slickness. It's all about the feel. Confusion over the run length – just give everyone a single solid run and let them chop it up. If the cable set alone was available as a single 3000mm run, it would be 9 stars. I tried these on my Genesis Zero i. Didn't improve the shifting of my Ultegra Di2 at all. Like DangerDicko, I noticed no difference too. What I disliked about Yokos is the metal housing; sharp ends, bends are large, doesn't sit nicely in frame entrance/exit holes. I'd be interested to know how they compare to powercords. Any chance of a side by side test? I think Danger Dicko might be taking the pinkle with gear cables fitted to a Di2 bike.